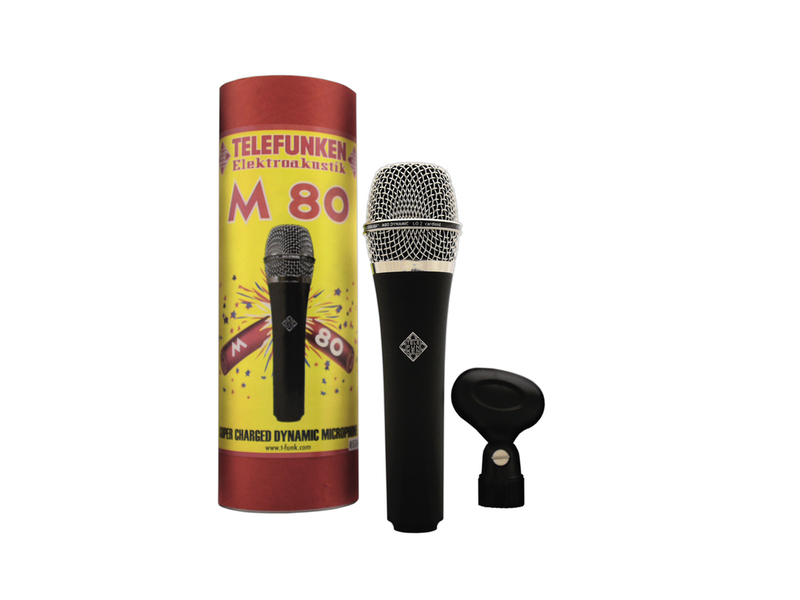 The Telefunken Elektroakustik M80 dynamic microphone had initial success for vocals and snare drums, but is also known to be used on guitar speaker cabinets, other acoustic percussion. Related to this mic is the M81 dynamic instrument microphone, the M80 wireless capsule head (chrome and black grille versions), M82 large capsule dynamic mic for kick drums and vocals, and the M80 swivel mount for attachment to drum rims. All are great live and studio application microphones!